The Center for Distributed Learning (CDL) recognizes the importance of providing UCF faculty with a wide array of services, professional development opportunities and resources for teaching online. What is the Center for Distributed Learning? 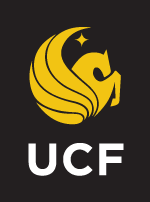 CDL serves as the central agent for online learning at UCF, providing leadership in distance learning policies, strategies and practices. CDL supports and expands student access to education through the advanced application of instructional technology, data analysis, policy and strategic planning for distributed learning programs and courses for the university.